Running Windows 8 on a non-touchscreen notebook is a royal pain if your touchpad doesn’t support Windows 8 gestures. These include swiping from the right to open the Charms, swiping down from the top to open the app menu (and to close running apps), and swiping from the left to open running apps. Fortunately, although Apple doesn’t support Windows 8 gestures directly on their MacBooks, there are ways to get them working. Here are the best ways I’ve found so far. If you’re running Windows 8 in a Parallels 8 virtual machine, then you’re good to go. 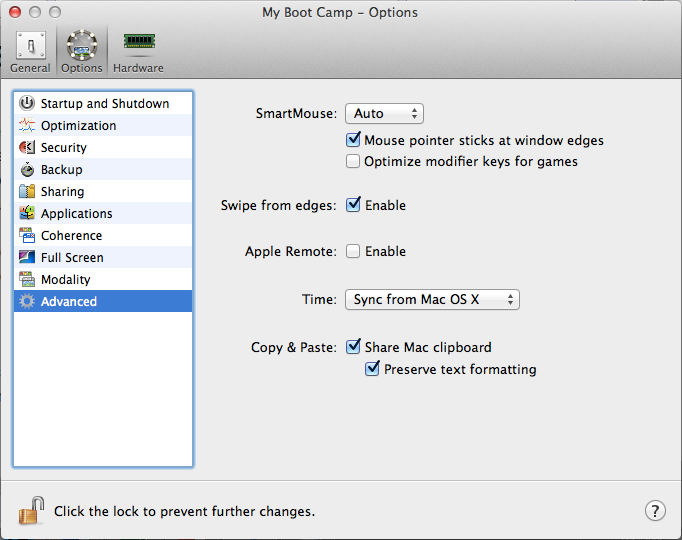 Parallels has an option to enable swipe from edges, which works great for all of the Windows 8 gestures I’ve tried so far. 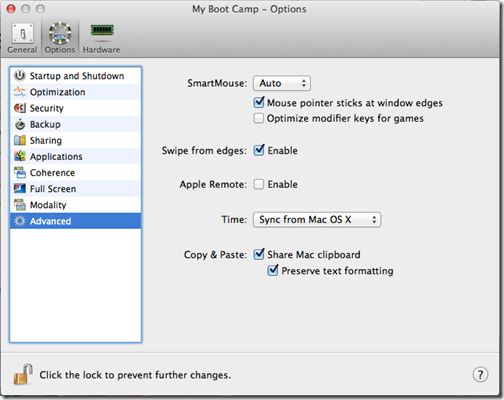 If you want to run Windows 8 a bit closer to the metal and thus use Apple’s Boot Camp, then by default you’ll have to run without Windows 8 gestures. Fortunately, there’s a free utility that will enable these gestures, while also dramatically improving the touchpad experience in Boot Camp in general. The app’s called Trackpad++, and you can get it here. Installation is straightforward if you follow the directions on the page, and while it’s free, it does require a weekly update to keep it running. So, there you have it. Windows 8 is much easier to use with touchpad gesture support, and there’s nothing stopping you from enjoying the experience on a MacBook just as much as a “real” Windows 8 notebook. I haven’t tried this on an iMac or Mac Mini using an Apple touchpad, but I suspect either method would work there as well.